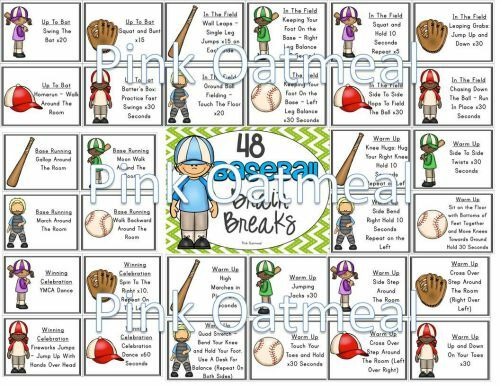 48 Brain Break Cards with a Baseball theme. 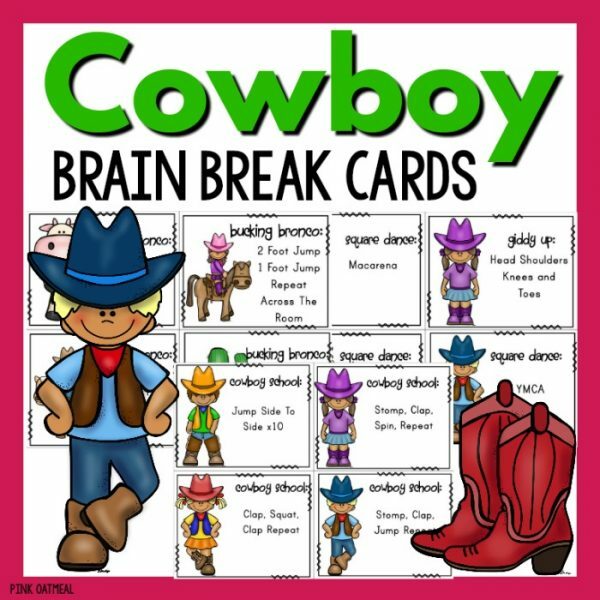 Brain breaks are quick and easy to perform. Do one or do several at once! 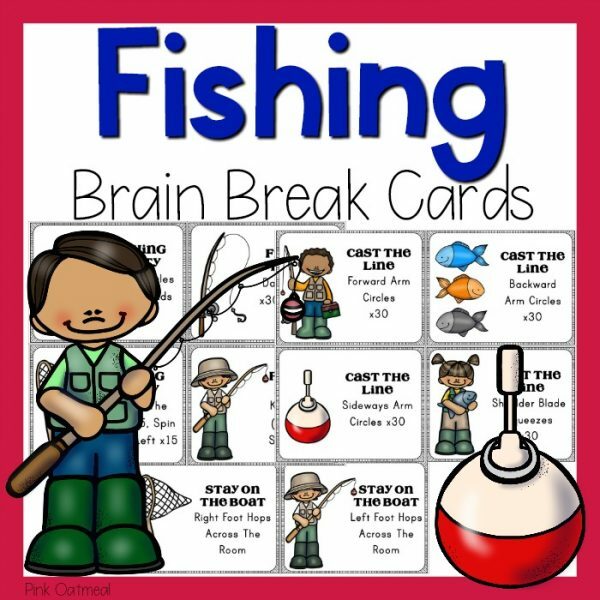 Fast, fun, and effective these brain breaks are a guaranteed good time! Read about all the baseball ideas on the blog! Cut out and laminate Baseball cards and put them on a ring or use on a bulletin board. 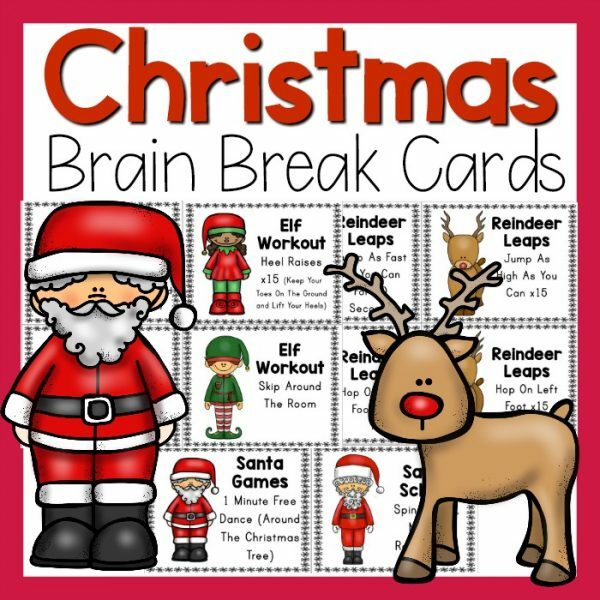 Make sure to get brain breaks in everyday! 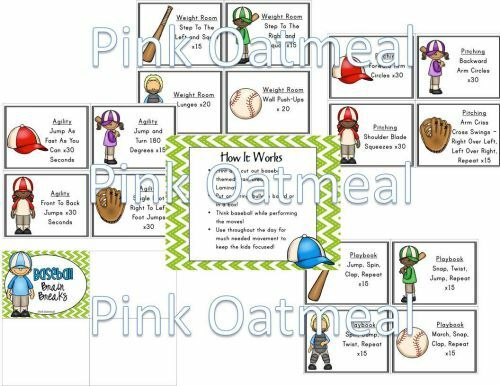 Encourage the kiddos to think Baseball! 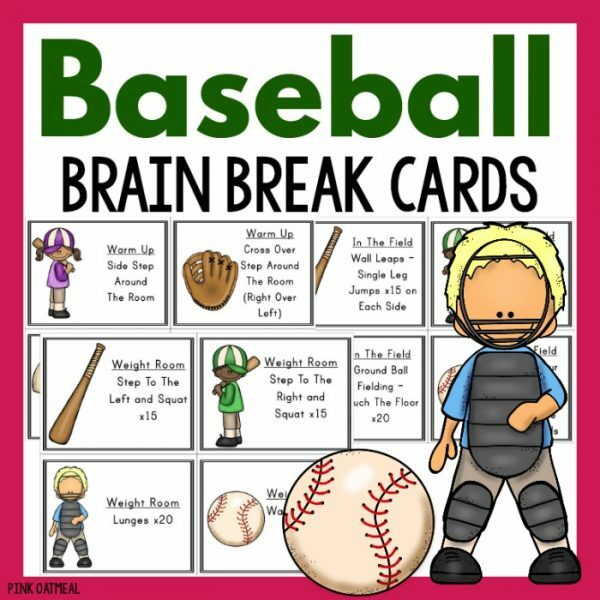 Anyone can use the Baseball Brain Break cards! They are great for use in the regular classroom, special education room, occupational/physical therapy and physical education. 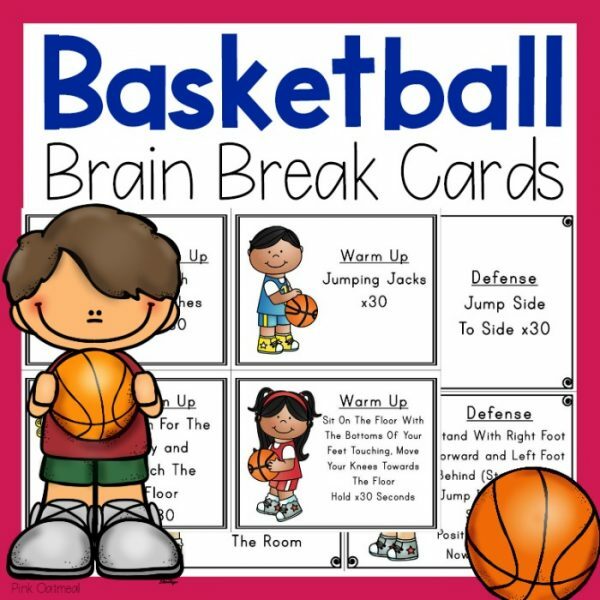 The Baseball Brain Break Cards are perfect for use during a morning meeting, brain breaks throughout the day, physical education or during transitions. Use in therapies as warm-ups or prior to testing! Baseball theme adds a little fun to the brain breaks. BUY IT IN A BUNDLE AND SAVE MONEY!